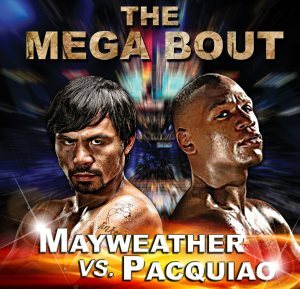 Something great or disgraceful is about to befall on either of the camps of Manny Pacquiao and Floyd Mayweather Jr. if the Mega Bout won’t push through in the first half of this year. The world is awake and watching. Will it be history or catastrophe for Pac or Floyd? Bob Arum is working “resolutely” behind the scene alongside Floyd’s representatives and it could be a sign that Arum is now serious in wanting to make the Mayweather vs. Pacquiao. But his open rejection of the May 2 date for a flimsy reason appears to be a stronger sign of another Arum subtlety in the works to stall the Fight. Oscar Dela Hoya and Canelo’s insistence to grab May 2 at whatever cost is giving the fans a sign to reject Alvarez vs. Cotto whether or not Pac vs. Floyd happens. Floyd’s deafening silence, hesitation and dilly dallying after having just blown his horn to dare Pacquiao could be a sign that he meant nothing at all with his big talks and taunts. Hence the bluffing seems to be a mere cover-up of his continuing intent to avoid the Filipino sports icon. Al Haymon, being a mysterious master, always working in the shadows for Mayweather could be a sign that he is the biggest wall that impedes the way for his “prima donna” boxer to fight the ever-eager Pacman. Freddie Roach saying the Mayweather fight is “close to happening” while referring to a future “big” fight opposite Danny Garcia or Terrence Crawford could be a sign that he is actually telling everybody that the Mega Bout is close to falling apart. Amir Khan crazily posturing to fight Mayweather or Pacquiao ahead of the Mega Bout could be a sign of his utter desperation for money (not Money or Manny) and it’s proving him to be an unworthy opponent for a cash cow. Scribes who sensationalize rumors to mislead the public and who write only to drive people to their sites is a sign for the people never to read them and never to visit their sites. Lee Majors and Chris Evans are famous actors who are not known to be boxing aficionados, but since when have they been twin brothers in the sport? Canadian boy Michael Koncz warned us that Manny will fight twice this year if the Mayweahter fight won’t materialize. It’s unsettling that such an attitude, midst the talks for Pac vs. Floyd, could be a sign of backwardness or childishness in the on-going discussions. Koncz sounded like he is giving up on the negotiations or simply refusing to give up his lousy barters and leverage. The alarm could also be koncz’s way of manipulating the opposite side, or he’s merely preparing the minds of the fans for another abominable “Pacquiao-Algieri” or “Pacquiao-Rios” type of match up in the near future. With the ominous signs stated above, what shall the fans and people do? Terms must be set outside of the ones Haymon and Arum have set for themselves. Here’s the fair and square deal for both Mayweather and Pacquiao, granting the blood test issue and other lesser aspects of the talks are resolved: The sharing of the purse, pay-per-view yields and other revenues that will be generated by the fight should be 60% for Mayweather and 40% for Pacquiao whoever wins. The weight will be 147 pounds and the bout will be on May 2, 2015 at the MGM Grand Garden Arena or any bigger venue they can agree on. Therefore let Pacquiao declare within a week his willingness to make the fight under the aforementioned condition and the people will be out-and-out with him in telling Mayweather that he has only until the end of this month to decide. Floyd cannot afford to keep mum any longer because his silence or indecision beyond January 31 would be taken to mean as a “shout” or decision to duck Pacquiao anew and cherry pick again an opponent for his next exhibition show. Is there a better way to bring the Mega Bout to a just, if not happy, conclusion? Take your stand on solid ground.